Aitjpr FALL was born in 1835 in , , Indiana. Aitjpr married Sarah FREDERICK. Sarah FREDERICK [Parents] was born in 1835 in , Knox, Indiana. Sarah married Aitjpr FALL. Charles Edgar MILLER. Charles married Myrtle CHRONISTER. Myrtle CHRONISTER. Myrtle married Charles Edgar MILLER. F i Shirley Jean MILLER was born on 9 Dec 1949. Jesse Lynn ALCORN [Parents] was born on 14 Jul 1944 in Lindsay, Garvin, Oklahoma. He died on 22 Jun 2015 in , , Oklahoma. He was buried in Graham Memorial Cemetery, Pryor, Mayes, Oklahoma. Jesse married Linda Kay HOLMES on 25 May 1968 in Pryor, Mayes, Oklahoma. Linda Kay HOLMES [Parents] was born on 25 Mar 1946. Linda married Jesse Lynn ALCORN on 25 May 1968 in Pryor, Mayes, Oklahoma. M i Billy Lee ALCORN was born on 13 Feb 1970. F ii Rebecca Dawn ALCORN was born on 14 Nov 1972. F iii Melinda Rhea ALCORN was born on 15 Mar 1976. Lonnie Gerald YARBROUGH [Parents] was born on 5 May 1922 in Lindsay, Garvin, Oklahoma. He died on 23 Oct 2007 in Lindsay, Garvin, Oklahoma. He was buried in Green Hill Cemetery, , McClain, Oklahoma. Lonnie married Cordelia Virginia ELMORE on 14 Oct 1942 in Chickasha, Grady, Oklahoma. Cordelia Virginia ELMORE was born on 3 Aug 1913 in Lindsay, Garvin, Oklahoma. She died on 31 Jan 2003 in Lindsay, Garvin, Oklahoma. Cordelia married Lonnie Gerald YARBROUGH on 14 Oct 1942 in Chickasha, Grady, Oklahoma. NASH. NASH married Deborah Clinton "Clint" CONGDON in Davis, Sacramento, California. Deborah Clinton "Clint" CONGDON [Parents]. Deborah married NASH in Davis, Sacramento, California. John J. RAMSEY was born in 1786 in , , Virginia. He died in 1886 in Medina, Ohio. John married Nancy SMITH on 20 Aug 1806 in , Bedford, Virginia. Nancy SMITH was born on 10 Aug 1787 in , Randolph, North Carolina. She died on 23 Mar 1874 in Watauga, Watauga, North Carolina. Nancy married John J. RAMSEY on 20 Aug 1806 in , Bedford, Virginia. M i Smith RAMSEY was born in 1815. He died in 1862. Achilles HOLLINGSWORTH [Parents] was born on 19 Dec 1849 in Chicago, Cook, Illinois. He died on 26 Jul 1914 in Arkansas City, Cowley, Kansas. Achilles married Catheine "Kate" LANDSPERGER in 1877 in , Brooklyn, New York. Catheine "Kate" LANDSPERGER was born on 24 Jun 1855 in West Newton, Westmoreland, Pennsylvania. She died on 12 Jan 1928 in Oklahoma City, Oklahoma, Oklahoma. 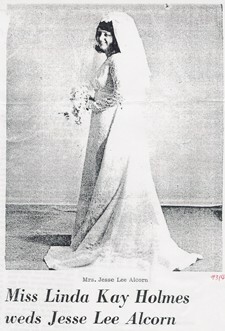 Catheine married Achilles HOLLINGSWORTH in 1877 in , Brooklyn, New York. Wilbur HOLLINGSWORTH was born about 1880. He died in Arkansas City, Cowley, Kansas. M ii Charles HOLLINGSWORTH was born on 12 Oct 1883. M iii Harry L. HOLLINGSWORTH was born on 14 Jun 1887. He died in 1956. M iv Walter W. HOLLINGSWORTH "Sr" was born on 18 Mar 1891. He died on 25 Dec 1952. Jason TREADWELL. Jason married Tricia Lynette MC KINSEY. Tricia Lynette MC KINSEY [Parents] was born on 24 Jun 1971 in Sapulpa, Tulsa, Oklahoma. Tricia married Jason TREADWELL. Grace McKenzie TREADWELL was born in Ixan, China. Faith Karin Treadwell was born in Ixan, China. Isaac HOLLINGSWORTH [Parents] was born on 22 Oct 1859 in Montrose, Lee, Iowa. He died on 12 Nov 1944 in Coeur d'Alene, Kootenai, Idaho. He was buried on 16 Nov 1944 in Forest Cemetery, Coeur d'Alene, Kootenai, Idaho. Isaac married Martha Jane ALLEN on 9 Feb 1882 in , , Missouri. Martha Jane ALLEN was born on 18 Jun 1862 in , Douglas, Missouri. She died on 17 Apr 1941 in Coeur d'Alene, Kootenai, Idaho. She was buried on 20 Apr 1941 in Forest Cemetery, Coeur d'Alene, Kootenai, Idaho. Martha married Isaac HOLLINGSWORTH on 9 Feb 1882 in , , Missouri. F i Minnie Viola HOLLINGSWORTH was born on 28 Aug 1883. She died on 7 Jun 1965. F ii Ora Frances HOLLINGSWORTH was born on 13 May 1885. She died on 25 May 1963. M iii Elwood HOLLINGSWORTH was born on 11 Mar 1887. He died on 20 Mar 1966. M iv William HOLLINGSWORTH was born on 3 Mar 1889. He died on 5 Dec 1955. F v Sarah Elizabeth HOLLINGSWORTH was born on 7 Aug 1891. She died on 28 Dec 1931. F vi Mattie Lucinda HOLLINGSWORTH was born on 26 Dec 1893. She died on 12 Jan 1963. F vii Iva Ann HOLLINGSWORTH was born on 26 Jul 1902. She died on 24 Feb 1994. Levi HOLLINGSWORTH [Parents] was born on 11 May 1844 in Gas City, Grant, Indiana. He died on 12 Oct 1927 in Mountain Home, Baxter, Arkansas. He was buried in 1927 in Reeds Grove Cemetery, Mountain Home, Baxter, Arkansas. Levi married Elizabeth Ann GOSS on 1 Jun 1864. Elizabeth Ann GOSS [Parents] was born on 20 Sep 1848 in , Grant, Indiana. She died on 7 May 1926 in Crow Wing, Crow Wing, Minnesota. Elizabeth married Levi HOLLINGSWORTH on 1 Jun 1864. M i Sherman Wright HOLLINGSWORTH was born on 26 Jan 1865. He died in Apr 1940. M ii George Parker HOLLINGSWORTH was born on 16 Sep 1866. He died in 1939. M iii John Alvin HOLLINGSWORTH was born on 13 Jul 1868. He died in Nov 1940. M iv Herman Victor HOLLINGSWORTH was born on 16 Jan 1871. He died in 1958. M v Perry Wayne HOLLINGSWORTH was born on 2 Feb 1873. He died on 22 Dec 1963. M vi Vance Levi HOLLINGSWORTH was born on 4 Jan 1875. He died on 24 Jul 1961. M vii Lindley Willis "Dutch" HOLLINGSWORTH was born on 8 Oct 1876. He died in 1950. M viii Ezra Jay HOLLINGSWORTH was born on 4 Mar 1878. He died on 4 Mar 1935. F ix Viola Delebana "Della" HOLLINGSWORTH was born on 12 Dec 1881. She died on 5 May 1924. F x Anna May HOLLINGSWORTH was born on 12 Sep 1883. She died on 6 Mar 1900. M xi Clayton Orange "Clate" HOLLINGSWORTH was born on 9 Aug 1885. He died in May 1971. Sherman HOLLINGSWORTH was born on 8 Mar 1888.